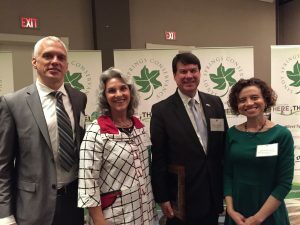 The 2017 Thought Leaders Dinner by the Sandy Springs Conservancy has blossomed into a must-see event celebrating champions of parks, greenspace, and connective trails in Sandy Springs. Over 200 civic leaders, government officials, and supporters around the city and the region joined our leadership for an evening of powerful presentations and a poignant salute to a local visionary. Keynote speaker Ryan Gravel captivated the crowd with a presentation named his book called “Where We Want to Live.” He disclosed how the pedestrian-friendly streets of Paris, France inspired his vision for pedestrian-oriented trails along abandoned rail lines for the Atlanta BeltLine. This 22-mile network of multiuse trails, parks, and transit lines has revitalized communities in the City of Atlanta. 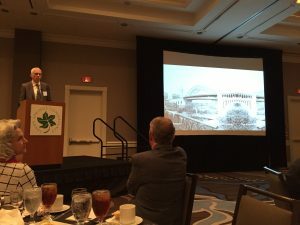 Sandy Springs Mayor Rusty Paul highlighted the beauty of the Chattahoochee River on the edge of the city, the redevelopment along Roswell Road, the construction of the City Springs as a new civic center, and the effort to build connective trails lto the Path 400 trail in partnership with the Sandy Springs Conservancy. 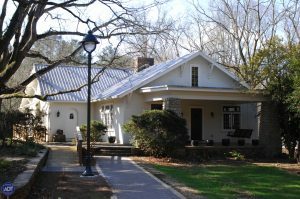 Recognizing the importance of conservation for the future of Sandy Springs, the Conservancy bestowed the late Peggy Miles with the 2017 Greenspace Champion Award for donating her charming homestead to Sandy Springs as a city park now called the Lost Corner Preserve. This year’s Greenspace Champion was Peggy Miles who donated her homestead which is now Lost Corner Preserve. 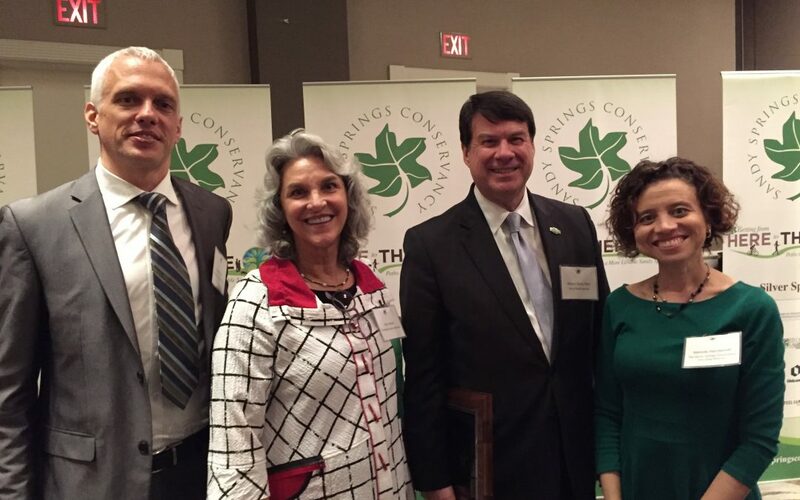 Amid a large audience of leaders with varying political and business viewpoints at the 2017 Thought Leaders Dinner, the Sandy Springs Conservancy continues to unite people with a passion for creating, conserving, and connecting parks and greenspaces in Sandy Springs and beyond.